WILLIAMSON HERALD: It’s a small space, a closet-sized area that seems dwarfed by the rest of the One Generation Away warehouse where it’s located. 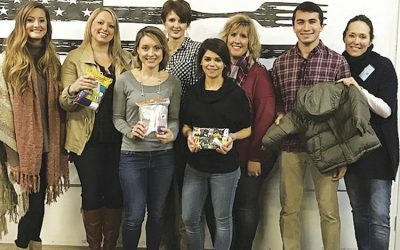 But for the organizers of the new Needs of Our Kids (NOOK) program of the Franklin Special Schools District, the tiny corner that holds a variety of clothing items might as well be the size of Costco for its capacity in significantly meeting a need. 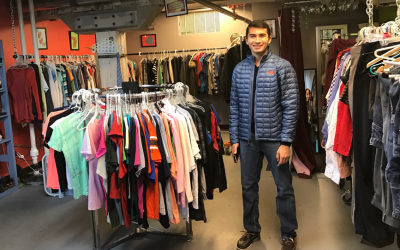 SPRING HILL HOME PAGE: Zachary Wolfson is only 18, but he has been collecting clothing for homeless and impoverished youth since childhood, now running nonprofit foundation Threads of Care as a senior at Franklin High School. 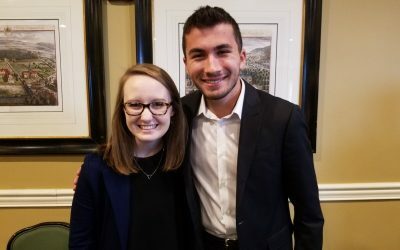 BRENTWOOD HOME PAGE: Continuing a monthly lecture series, young leaders spoke during a panel on entrepreneurship and nonprofit leadership. Zach Wolfson, 18, is a senior at Franklin High School. After starting a coat drive in middle school, Wolfson carried his passion for serving his peers into high school. 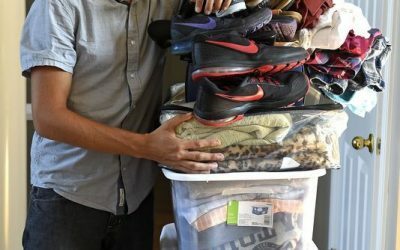 A coat drive his sophomore year yielded 100 coats, which encouraged him to start Threads of Care, a nonprofit that provides homeless and low-income youths with essentials like shoes, socks, underwear, and coats. To date, Wolfson said he has collected over 7,300 items of clothing for those in need. WILLIAMSON HERALD: Franklin Special School District board member Alicia Barker called Franklin “almost a community of extremes,” as she introduced a proposal for the new Needs Of Our Kids (N.O.O.K.) program aimed at aiding families in need at the school board meeting Monday. 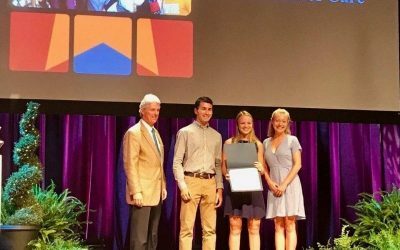 WILLIAMSON SOURCE: Franklin Tennessee teen run foundation, Threads of Care was honored at the Franklin Tomorrow Exemplary Community Volunteer awards for their impact on the community. Zach Wolfson, Claire Elliott, and Mikayla Prince received the award on behalf of the countywide Threads of Care team and a $250 donation to the non-profit of their choice. THE TENNESSEAN: Every year, one of my highest hopes for our Ms. Cheap/Anchor Investments “What would you do if someone gave you $500 contest?” is that in addition to awarding three cash prizes to people who want to help others during the holidays, the contest would shine a light on some other needs in our community, and readers would step up to help. ZACH WOLFSON FOR NASHVILLE BUSINESS JOURNAL: In my short tenure as an entrepreneur, I’ve learned that to be successful in launching a business, one must find a need in the world and develop a unique product or service to meet it. THE TENNESSEAN: Franklin High junior Zach Wolfson remembers the bright lights and skyscrapers on trips to cities like New York and Chicago. 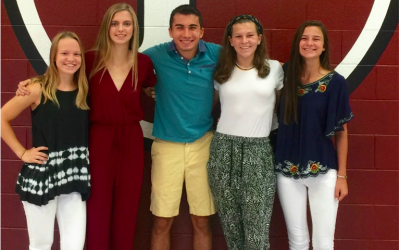 WILLIAMSON SOURCE: Zach Wolfson is a student at Franklin High School who wants to bring teens together for a common purpose- to help other teens in need. With a passion for public service, Wolfson founded an organization called Threads of Care, which aids poor and homeless teens in Nashville. 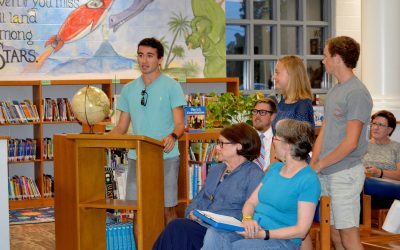 To make his organization a success, Wolfson has the help of “Ambassadors” in local schools. We spoke with Wolfson to learn more about what inspired him to start Threads of Care and how other teens in the area can become involved. To learn more about Threads of Care or to become an “Ambassador” at your school, visit the Threads of Care website.